Deciding to sell your home is a tremendous financial and emotional decision. Choosing an established and trusted local Myrtle Beach REALTOR® can help turn this stressful, confusing process into a stress-free transaction. Using a REALTOR® means you and your family can focus on starting your new lifestyle without worrying about the hassle of selling your current home. That’s what choosing our team is all about. How to prepare your property and attract a buyer. 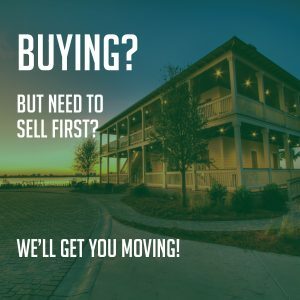 Whether you’ve already found your next place, or you’re just testing the waters, selling a home is a major financial and emotional undertaking. In this guide, we’ll show you how to prepare your home in order to maximize your unique goals. Price: Price is a key factor when buyers comparison shop. Getting it right the first time will ensure a solid offer (or several) without scaring anyone away. Condition: Whether it’s replacing the roof or painting the walls, a little home improvement can go a long way. Presentation: Use staging, photography, and a strategic marketing approach to find and attract the right buyers. Location: Neighborhood, schools, transportation, and other location-related factors are hugely important to buyers. Don’t just hire an agent, find a true Seller Specialist like Matt Harper. Expertise: Seller Specialists know local geography, schools, businesses, laws, politics, and more. But most importantly they know the local market: what kind of homes are available, how much they cost, and how these numbers compare to previous years. Negotiation: Whether you’re selling your your first, second, or third home, a Seller Specialist can usually negotiate for a higher price than you ever could on your own. Plus, Seller Specialists are contractually obligated to protect your financial interests. Legal: Selling a home is a complicated process, full of financial and legal obligations that no layperson can be expected to keep current. Seller Specialists are required to know the law and are experts in contract knowledge, plus they keep up with with changing regulations, ensuring you don’t sign a bad deal. Network: Seller Specialists have relationships with other professionals you’ll need such as lenders, lawyers, appraisers, home inspectors, and contractors. Acting as a guide on your journey, Seller Specialists refer you to quality professionals they’ve tested with other clients in the past. Time: Chances are you already have a job, which means you’ll be hard pressed to find the time and energy for all of the necessary tasks in marketing and negotiating the sale of your home. Your Seller Specialist lives and breathes real estate, and is prepared to handle all the calls, paperwork, scheduling, and legwork involved. CMA (Comparative Market Analysis): Your first and best option is to have your agent compile a Comparative Market Analysis (CMA), which uses MLS data on active, sold, and expired listings in your area, as well as listings with similar amenities and characteristics, to determine what your home is worth. Appraisal: While it’ll cost you a few hundred dollars up front, hiring an appraiser will also give you the most accurate market value estimate for your home. Appraisers are licensed and regulated by state boards and programs. Valuation: Most major real estate sites offer online valuation services using public data such as property records and tax assessments. (Zillow’s ‘zestimate‘ is a prime example.) Take such valuations with a grain of salt, as these tools often use incomplete data in their estimates. Expectations: When properly priced, a home should draw an offer within the first twelve showings. Aim too high, however, and you’ll likely be waiting much longer. If you’ve lived in your current home for several years, you’ve likely invested lots of time and money into maintaining it, and hopefully made many fond memories. Nevertheless, it’s important to be realistic and approach pricing with an eye for current conditions. To fetch the highest price for your home, you need to reveal its inner beauty without investing in embellishments that could turn people off. While getting your home into selling shape, remember the THREE R’s: Refresh, Repair, Replace. Refresh: A little TLC goes a long way. Paint anything that doesn’t look fresh in a neutral color. A fresh coat of paint can work wonders on even the shabbiest rooms. Strip off any old wallpaper and fill holes from nails and picture hangers, then give your interior a fresh coat. Replace bright colors with safer neutral shades. Pay special attention to scuffed and dented baseboards, spackling and repainting as necessary. It’s often a good idea to repaint your front door, after all it’s the first detail buyers will notice. As for the rest of the exterior, a thorough powerwashing, painting if necessary and window cleaning should suffice. When it comes to landscaping, pull weeds, freshen mulch, add seasonal color and sod any dead patches of grass. Repair: Curb appeal isn’t limited to ground level: A worn-out roof is a bad omen that will scare buyers away. Hire a roofer to replace any worn or missing shingles. You should also ensure proper drainage by checking that your gutters are clear, clean, and freshly caulked. Inside, take care of any plumbing, electrical, and appliance issues. Correcting obvious maintenance issues before a buyer views your home will result in a better offer and also make the inspection process go more smoothly. Replace: Some home features are better replaced completely than fixed or refurbished. For starters, updating old light fixtures and window treatments can go far in making an old home shine like new. You may also want to replace carpets, particularly if you have pets. Even stain-free carpets can hold onto undesirable odors. (Depending on cost, consider substituting hardwood or laminate: they’re easier to keep clean and fetch a higher price.) Whatever you replace, be sure to opt for neutral colors and styles that will appeal to a wide range of tastes and decor. Once your home is in market condition, it’s time to spread the word to buyers and actively highlight its best qualities. Multiple channels and tactics. Local MLS, print ads, yard signs, digital advertising–all strategies and media are fair game when it comes to letting potential buyers know about your home. Use the Internet. These days, the web is the best medium for promoting your property, with 95 percent of buyers now using the Internet in their home search. A good agent will market your home online with a combination of digital advertising and postings on major real estate websites such as Zillow, Trulia, and Realtor.com – as well as a listing page on his or her own marketing site. At Path & Post, we have additional ways to dominate the online buyer pool. Know your audience. To get the best results, it’s important to speak the language of your buyer population. If, for instance, your home has a master on main, this will attract buyers in a certain life stage. Don’t keep it a secret. While your agent is marketing your property professionally, you should also be ready to contribute by spreading the word about the sale to family and friends. Most potential buyers will first become acquainted with your home through photographs on the web. Great photos bring out your home’s inner beauty, while low-quality or uninspired photos send searchers running. We hire a professional. While there’s a lot you can do on your own as an amateur, hiring a professional photographer or agent trained in photography is the best way to guarantee your photos turn out amazing. A good photographer will bring years of experience to bear, along with professional-grade equipment and editing software to brighten and beautify their shots. Research shows that a well-staged home can sell up to 32 percent faster than a home that isn’t staged at all. When staging a home, it’s important to remember that you’re not just selling the property: you’re selling a lifestyle. Make sure the curb appeal and first impression feels warm and inviting with a neat and trim yard, plus extras like conversation benches and pots of flowers. Lighting: Try to let in as much natural light as possible. Remove thick, heavy curtains and blinds, and avoid blocking windows with furniture. Use lamps with high-wattage bulbs to illuminate spaces that don’t receive much outdoor light. Space: Accentuate the possibilities of your home by removing unnecessary furniture and clutter. This will make your spaces feel bigger and allow buyers to fill in the blanks on their own. Noise: Ambient noise from outside your home can be a blessing or a liability. You can also use sound actively in your staging, playing soft, slow, instrumental music to provide buyers with a comfortable atmosphere to contemplate your space. Cleanliness: Buyers analyze homes and comparison shop. Cleaning is a cost effective way to stand out among the crowd. Clean every nook and cranny, from the light fixtures to the baseboards and everything in between. Make sure all of the surfaces in your home are spotless: there’s nothing worse than putting your hand on a table, only to come away with grime or dust. The same goes for floors: even through shoes, buyers can feel the difference between a clean kitchen floor and a dirty one. Temperature: If your home tends to get stuffy, open the windows to let fresh air in at least ten minutes before buyers arrive. Adjust the thermostat to ensure the temperature is perfect for your visitors. Smells: Few things put off buyers more than a bad odor. If you have lots of carpets or rugs, make sure they’ve been cleaned thoroughly before you start showing your home. Minimize animals in a home by discreetly hiding the litter box, toys, food and bedding. Kitchens and Baths should be Hotel Ready: If you were paying to stay in a hotel room, would the kitchen and bath pass the cleanliness test? If the grout is missing or mildewed, or the counters are stained or cracked or there is a ring of dirt in the toilet, would you call the front desk and complain if this home was actually a hotel room? If you answer yes, it is time to do a detailed clean on these critical spaces, which can be deal breakers for buyers. No one buying a home wants to step in a nasty shower full of mildew or germs. There are excellent companies that specialize in cleaning and restoring grout to like new, which is a great investment for a seller to make. Invest in beautiful towels that coordinate plus matching décor to create a welcoming retreat atmosphere in a bathroom. Limit Decor to 3 Objects per Flat Surface: In other words, get rid of all the clutter and collections. Put away work items like dish soap and cleaning brushes. Store toiletries that need to be easily accessible inside a décor item like a wicker basket with a lid. No one enjoys seeing deodorant, toothbrushes, razors, or feminine products on the counter when they view a home. Finally, it’s important to remember that the right buyer could come along at any moment. As a seller, you need to be ready to show your home any time of day, any day of the week. That means keeping the house clean and uncluttered at all times. It also means being ready to leave at a moment’s notice to give the buyer comfortable and uninhibited access. To prepare for the unexpected, have some ideas ready of places to visit and spontaneous ways to kill an hour or two.